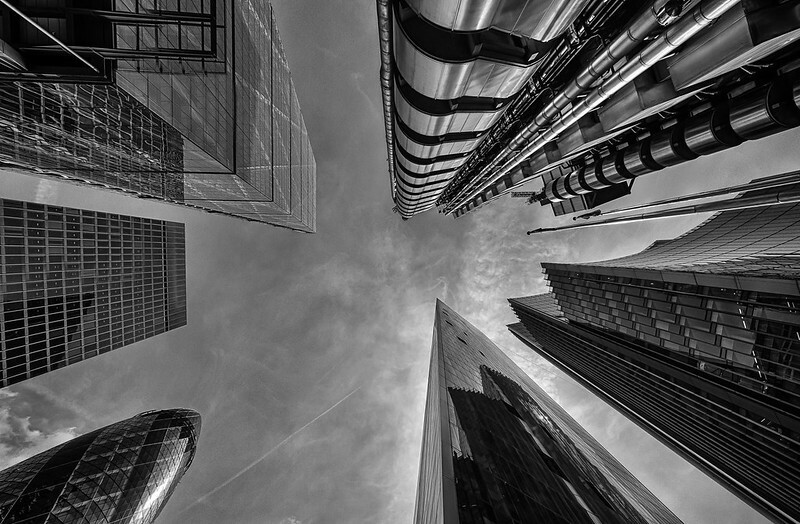 My Flickr contact Werner Schwehm posted this dramatic image of a group of skyscrapers in London, including “the gherkin” on the left. I like the contrail which looks like a scratch in the sky. It reminds me of my shots of tulip trees from below. When you get close to things like this and shoot up, you get a great perspective.